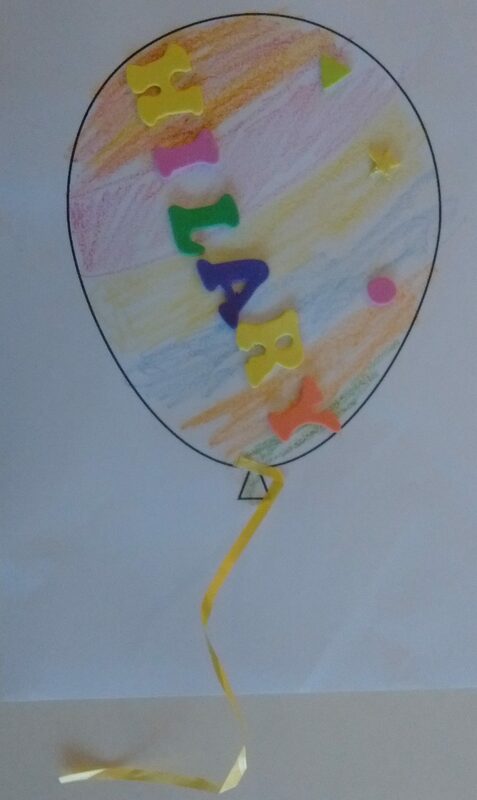 Nothing more basic than decorating a picture of a balloon, but the children liked it anyway. 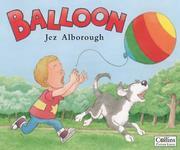 Cut lengths of wool or ribbon suitable for the balloon strings. 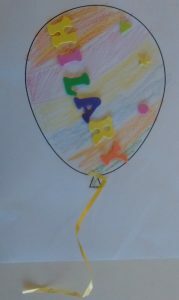 Children should decorate their balloon any way they like and glue on a string at the bottom.